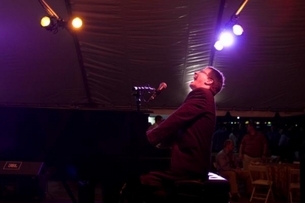 Pianist, vocalist, producer, songwriter John Autin is one of New Orleans' musical treasures. For years John Autin has been one of the cities finest pianists playing and recording with Marva Wright, Snooks Eaglin, Ernie K. Doe and more. John has also produced CDs for many of these artists and others on the Rabadash Records label.